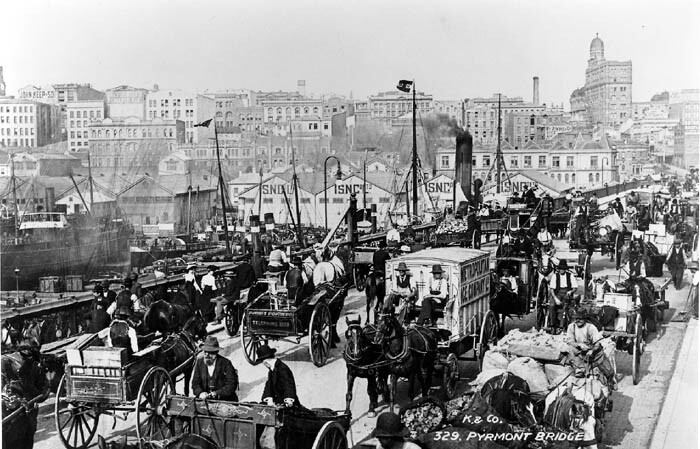 The Great Horse Manure Crisis seems to have originated in 2004, in an article entitled “The Great Horse-Manure Crisis of 1894,”published by the Foundation for Economic Education, written by historian Stephen Davies. He asserted that the accumulation of horse manure was seen as such a grave public problem in the nineteenth century that general panic and despair ensued because the problem seemed hopeless. 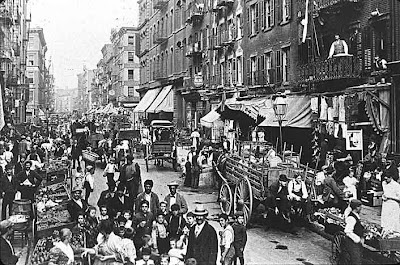 He asserts that publication of an article in the London Times in 1894 said, “that in 50 years every street in London would be buried under nine feet of manure.” He also cites the frustrated, early cancellation of the first international urban planning meeting, in New York in 1898, because no one could solve the problem. He couples that with well-known, widely available, contemporary estimates of the number of horses in various large cities, and the pollution and despair they caused, to posit a desperate crisis. Did it happen? Was mankind in a panic that all large cities would soon be dung bound? The story has spread around the Internet like a prairie fire across north Texas. Davies’ description of the London Times article, without attribution, is often enclosed in quotes, as if The Times actually printed those words. Davies offered no specific citation, beyond the year, 1894, and did not name the writer of the supposed Times article. Likewise, he offered no substantiation of the urban planning meeting. Thousands of articles, master’s theses, jokes, and morality tales now litter the Internet to a depth rivaling the supposedly anticipated horse manure. Most of these simply recycle the same wording, some adding synonyms and adjectives, as if sourced from Genesis. So far, no references to the “panic” prior to the 2004 Davies article have turned up. 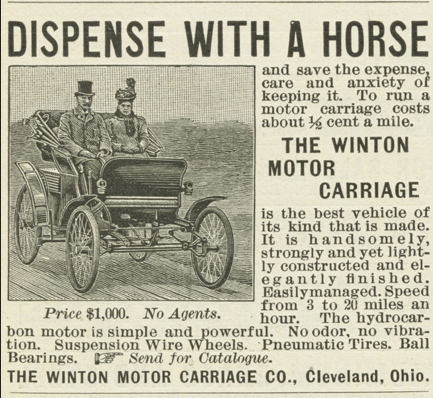 Contemporary accounts certainly detail the problems with horse power, and they were numerous, unpleasant and multiplying, but extrapolating them to a sense of futility and panic is a connecting-of-dots almost as egregious as the tellers of this tale attribute to their nineteenth century ancestors. In fact, the internal combustion engine was already hard at work in the world by 1894, along with the mobile steam engine, and by the turn of the century they were widely predicted to take over much of the world’s transportation. The nineteenth century equivalent of modern futurists were predicting automobiles as the soon-to-be conveyance of personal choice and “traction engines” the future of freighting. There was the small problem of fuel, since the petroleum boom had not yet started, but alcohol, biofuel, and electricity were seen as possible alternatives in that tender age. The Davies story has gained flamboyant attention because it neatly gives shove to the handwringing fatalists of our own age, who despair at the seemingly inevitable continuation of all bad trends. Given two data points and a straight edge, everyone is a prophet, and there is no end to the doom we can foresee if we assume things will go on tomorrow as they did yesterday. It is a neat illustration of the need to look beyond the continuation of current unsustainable trends, and has been cited to that end well over 20,000 times, by the last Google search. Perhaps the London Times actually published such a story in 1894. Perhaps a meeting of urban planners really did adjourn in despair of shoveling all that manure. We are not the first to question the story. So far no author of the 1894 article has been identified, nor has the article itself been published in facsimile, nor have the minutes of the 1898 meeting been produced, even though such a meeting is referenced in contemporary accounts and apparently did occur. Nor, has any contemporary indication of panic and despair been found. It is a neat story. It perfectly illustrates a truth we instinctively understand. There is no reason to believe it actually happened, and, if such a story were needed to invalidate linear extrapolation as a means to the future, we would have to believe forecasting the future is a pretty easy thing. I didn’t see that one coming.